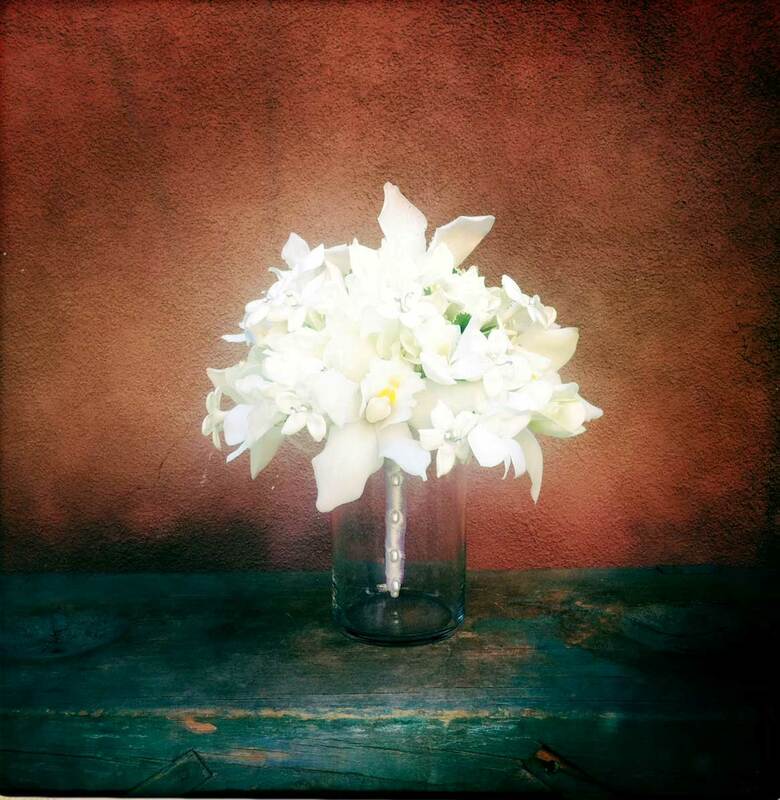 A little dreamy bridal bouquet treat for you. 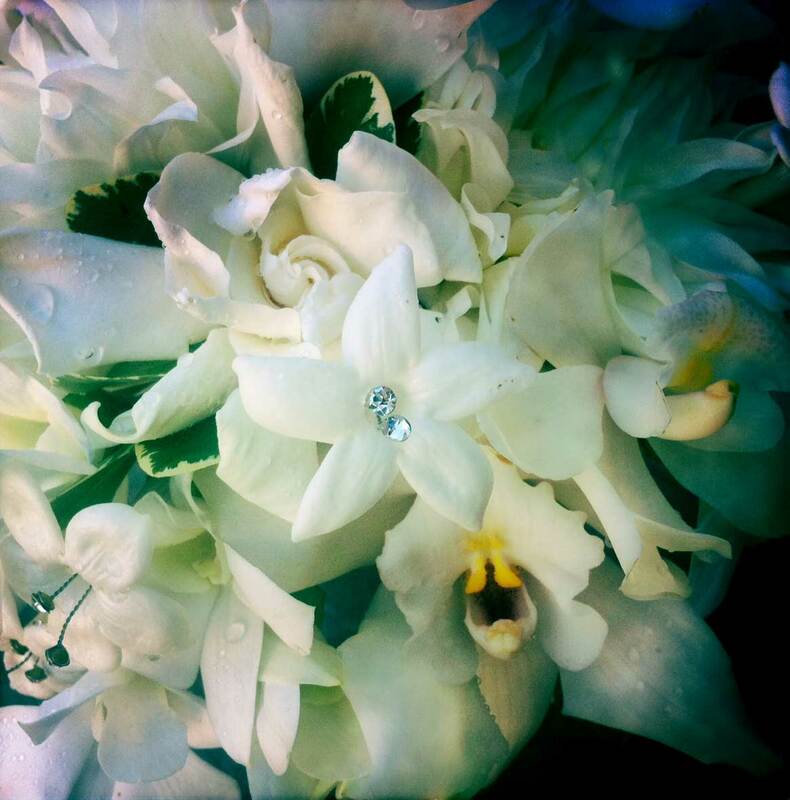 Pure gorgeousness made from Cymbidium Orchids, Gardenias, Dahlias and Stephanotis with rhinestones (!). We did this wedding a few weeks ago and we can’t wait to show you what we did this past weekend. A little hint you ask…two words: Orchid Chandeliers. It’s here! The leaves have changed and there is a chill in the air. 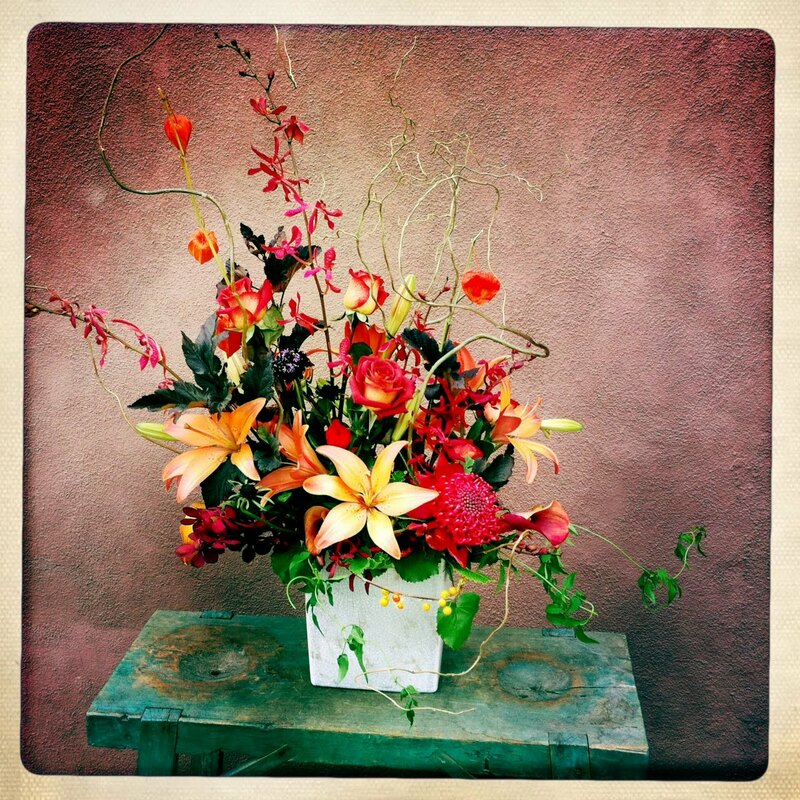 We couldn’t’ be more excited for festive fall arrangements like this one that showcase the season’s colors so well! 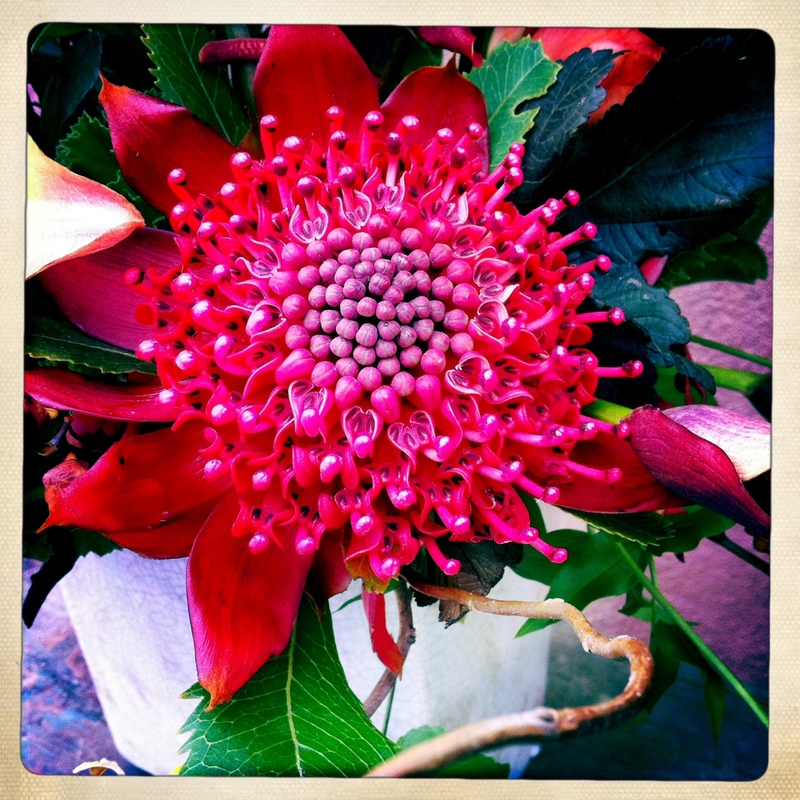 How crazy is this Wartah Protea!? We’re just gaga over it! In this arrangement: Sunset Lilies, Black plum foliage, Wartah Protea, Chinese Lanterns, James Storey and Mokara Orchids, Flame Calla lilies, Estelle Roses, Bittersweet and Jasmine vine!